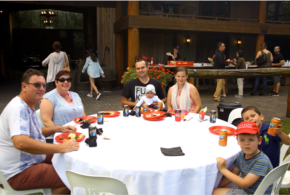 We couldn’t have asked for better weather or a better turn out at the Redbank Community BBQ, with more than 100 people attending the event on the weekend. Hosted in the Polo Barn at the Sydney Polo Club — one of Australia’s most prestigious and historic polo venues — existing and soon-to-be residents enjoyed exploring the vast grounds and getting to know their new neighbours. 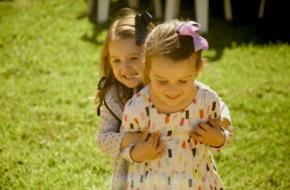 Families also loved the jumping castle and the delicious barbecue kindly provided by Valley Meats. Curious residents also learned about the venue’s charming history as Moxey’s Dairy. Once a milking shed, The Polo Barn contained large milk vats and an automated milker. All milking machinery has since been removed and the cows transported to Bathurst, but visitors can still see the original circular drainage channel that was used to catch and drain away spray-off and excess milk. Today, The Polo Barn still has its original foundations, and the inside of the building has been timber clad and the floor surface redone. Tie-up rails and wash-down bays have also been added, making for a very glamorous, horse-friendly barn and a fantastic venue to host a community get-together! The Sydney Polo Club is now renowned for its equine excellence after the barn refurbishment and the planting of more than 12,000 trees on the 400 acres of beautifully landscaped grounds. The Club plays host to various polo tournaments throughout the year, and is also a sought after site for many high fashion photoshoots and major movies, including The Great Gatsby. A big thank you to everyone who attended on the day. It’s wonderful to see the Redbank community come together and we look forward to building even more memories for generations to come. 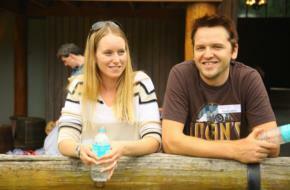 Yeoman’s soon-to-be residents, Samantha and John Mitropoulous. 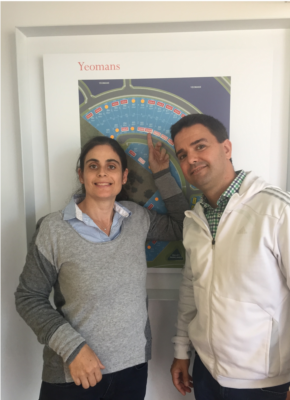 John and Samantha Mitropoulos were in search of more space when they came across Yeomans at Redbank. With two young children aged six and four, the couple is now looking forward to building a house on their brand-new lot that has enough room to grow with their family. According to John, the Hawkesbury provides a more relaxed, easy-going lifestyle, and he hopes the proposed Grose River Bridge will go ahead to ensure the region remains that way. Once moved in, the Mitropoulous’ are keen to buy a boat and experience all that the Hawkesbury River has to offer. We welcome the Mitropoulous’ to the Redbank family. In true Aussie spirit, residents of the RSL LifeCare Kingsford-Smith Village came together for a special Anzac Day service on Monday to remember those who have served and to share stories of war time. The service, held every year for residents and their families, saw performances by the Richmond High School concert band and choir, prayers and poems by residents, as well as an Anzac Day Address by John Klompenhouwer of the RAAF Base at Richmond while Hercules aircraft flew overhead. Alyson Dyer, Kingsford-Smith Village Manager, said the service was moving and allowed the Village community to commemorate the fallen. Thanks to everyone who attended the service at the RSL LifeCare Kingsford-Smith Village on Monday, and those who attended dawn services on Anzac Day. North Richmond has been one of the most visited suburbs on realestate.com.au in the past year. Compared to last year, property searches in North Richmond have increased by 91 per cent. Find out more info on the region’s hot spots here. Calling all creatives! This Mother’s Day, we’re giving you the chance to win a beautiful bouquet of flowers from North Richmond Florist and a kids’ colouring pack by entering the Redbank Mother’s Day colouring competition. This is a perfect activity for the kids but it’s also open to mums and dads who have a desire to bring out their inner artist. Simply click here to download the PDF which has instructions on how to enter. Entries close May 10. 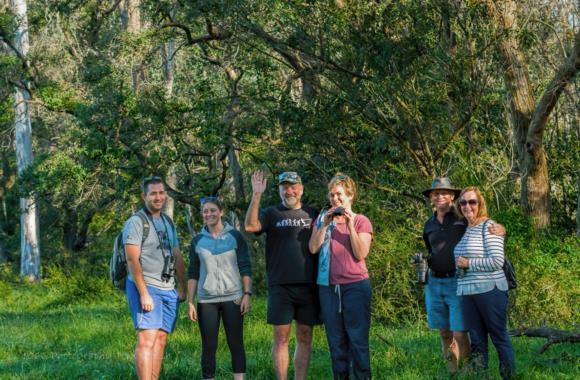 The Redbank Birdwatching group out and about on the weekend, led by Redbank resident and photographer Tom Walsh. The group spotted a total of 14 bird varieties, including the Restless Flycatcher. Our team has engaged Cunningham Custom Homes to build Redbank’s first display home located within the Yobarnie stage. Drawing inspiration from the Richmond region’s traditional architectural palette, this home will appeal to clients looking for a design where flowing, indoor-outdoor living spaces and a range of premium quality finishes come together to deliver a lifestyle unique in Redbank. The slab was poured last week and we look forward to its progress in the coming months. Important notice: Please note construction cannot begin on lots in The Gallery until McDonald Jones receives an ‘Authority to Commence Construction’ letter from the bank, and any signed variations (if applicable). We suggest getting this information submitted now to get things moving. Please contact Elif Kaplan via email at ekaplan@mjhmulti.com.au or on 02 8808 7467 if you have any questions regarding construction as we are aware that there is outstanding paperwork still to be submitted. We are very happy to announce that Stage 2 registered yesterday. Our solicitors, Thomson Geer, will be contacting your legal representatives to notify them of registration. For Stage 3 buyers, our meeting was held with Sydney Water (SW) on 13 April and a preferred option was selected, marking a significant milestone. The preferred option selected was the Kurrajong main which has a high-pressure issue. This preferred option continues to go through SW Approval, Concept Design, Detailed Design, Delivery and Commissioning. We are working with SW on a program timeline and the second we get this timeline from SW we will notify all concerned parties. Although we are still waiting for a Stage 3 timeline, much progress has been made with two of the three stages within Mountain View now complete. We have seen exceptionally strong sales activity over the past fortnight with nine sales last week alone. We anticipate a complete sell out before civil works are to begin. Construction Certificate preparation is on program and civil works are still on track to commence by mid-year. At this stage, everything is running to schedule as we move towards mid-year. We have seen a handful of significant resales in recent weeks which is encouraging to see before construction has commenced. Everything is still running to schedule with civil construction on track to commence mid-year. Please note that our current dealings with Council and our proposed bridge has NO impact on timing for the delivery of Belmont or any other stage. The current hold period is related to Sydney Water finalising a water/sewer strategy for Belmont. This is in keeping with our proposed timing/programme. Details for our planned site inspections for buyers will be released when construction commences. We will continue to keep purchasers updated during this hold period. The draft plan for parks and reserves at Redbank is available for public comment. The draft includes the potential for a low impact/small scale water play area in Peel Park adjacent to Yobarnie Rise. View the plan here: http://yourhawkesbury-yoursay.com.au/redbank-precinct-community-land. 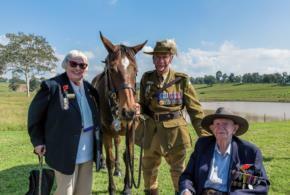 Please direct any community enquiries to community@nrjv.com.au or phone 0481 987 370.